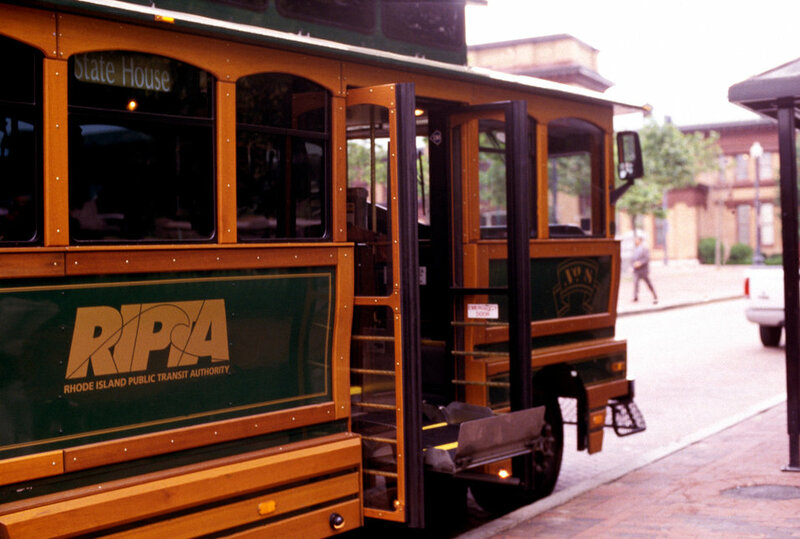 The wheelchair-seated man in PHIL# 9080, had already boarded this antique-style, faux trolley city bus, by using a lift mechanism built into the central portion of the vehicle. Because a special mechanical lift was required, the means of access was not universal. However, the inclusion of this device meant that many more people could take advantage of the public transit offered by this city, which justified the consideration that was paid during the design process governing the manufacturing of such publicly-accessible mass transit vehicles.